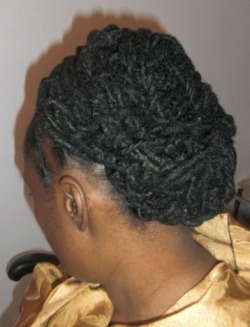 BACK COMB & CROCHET N.
3- The Line on the Base/Root of the hair is nice and neat. 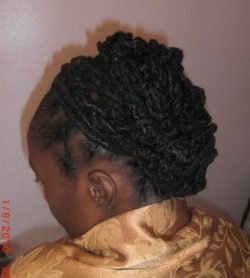 4- Style the Locks, to give it an Updo shape. 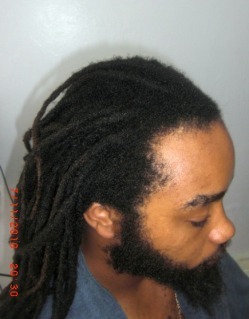 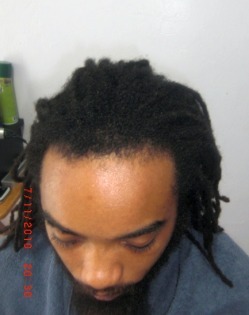 Before the Dreads is Styled. 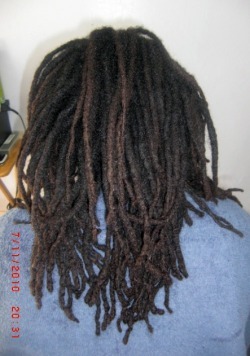 During the Palm Twist Process. 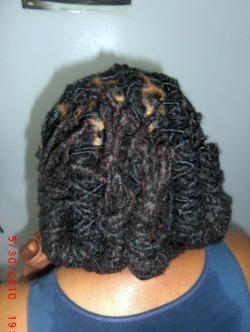 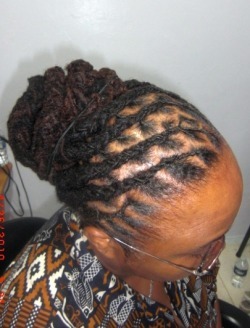 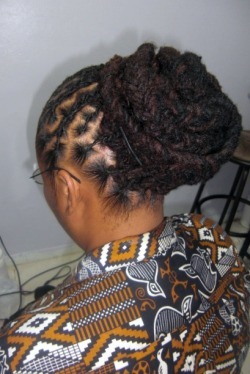 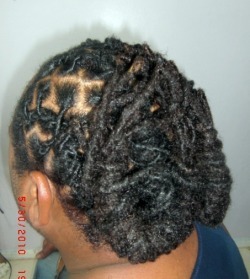 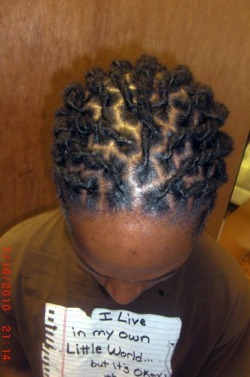 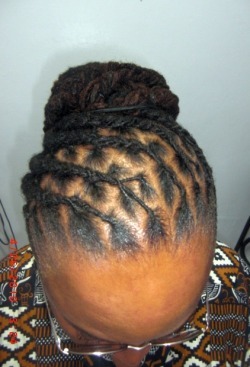 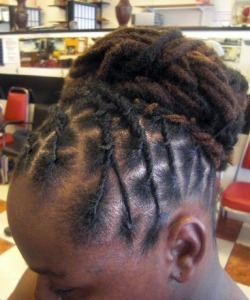 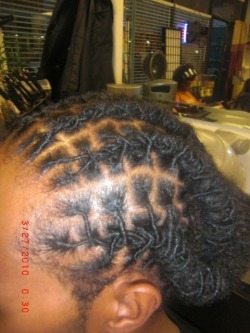 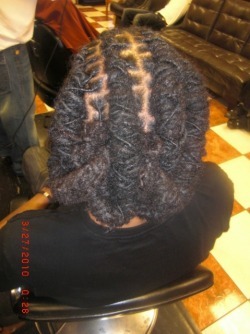 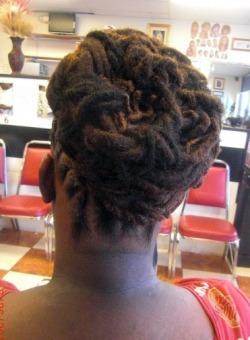 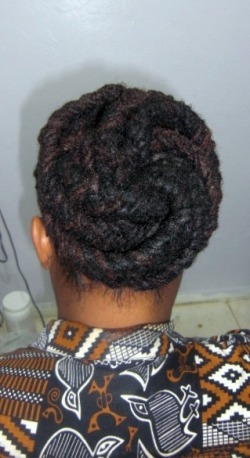 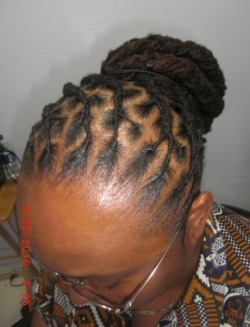 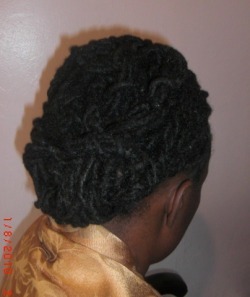 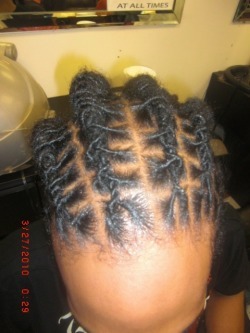 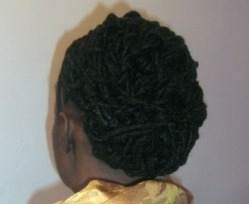 For this Updo the services include: Wash+Twist+Design the root & Style the Dreadlocks. 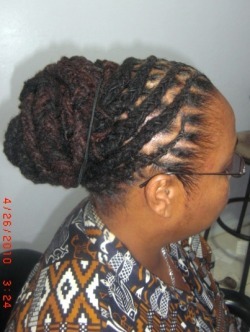 The Charge amount for this particular Style is from: $ 75.00 & $$$ Up. 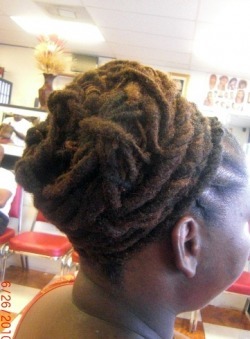 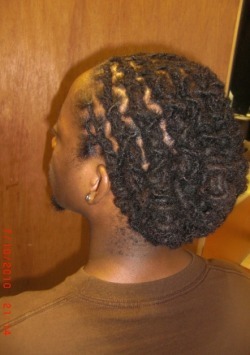 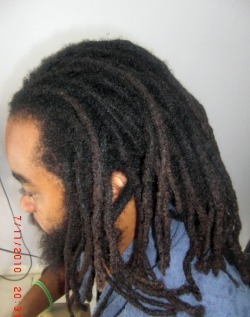 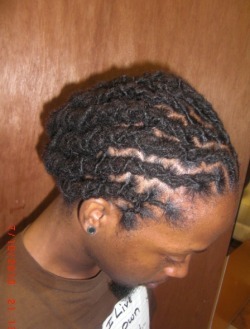 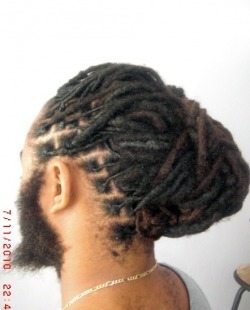 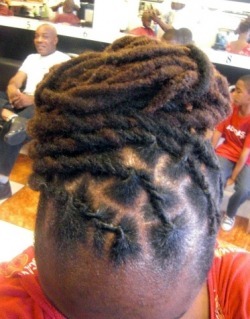 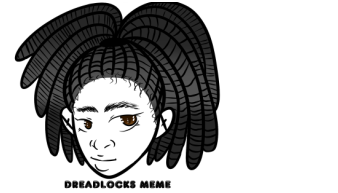 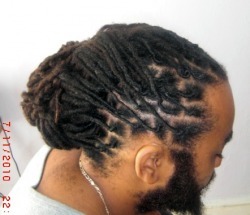 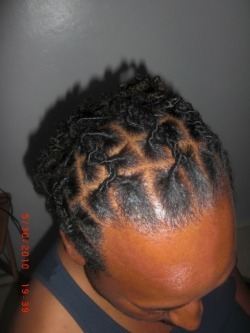 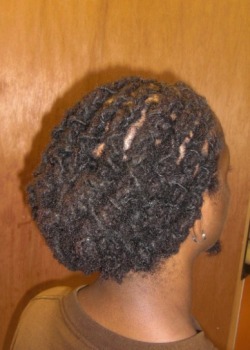 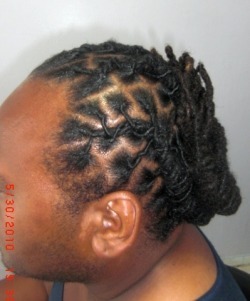 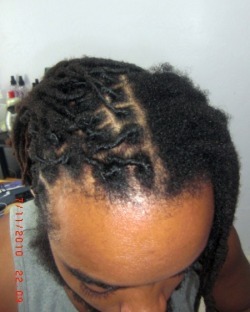 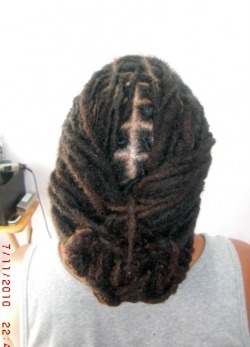 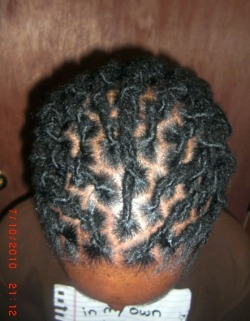 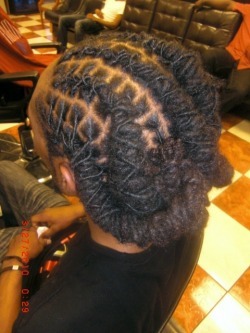 Dreadlocks is Beautiful and there is many different style that can be done. 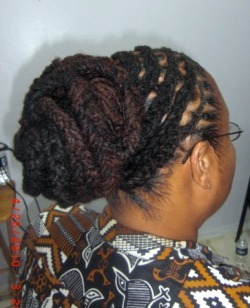 A great Updo for a nice evening. 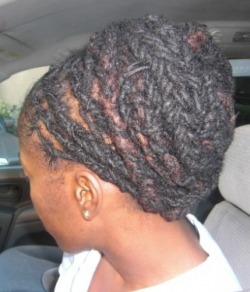 Wearing your hair naturally hair is so beautiful, as you can see in this picture. 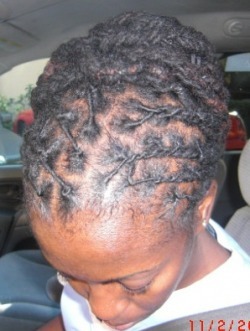 There is nothing wrong going Natural. 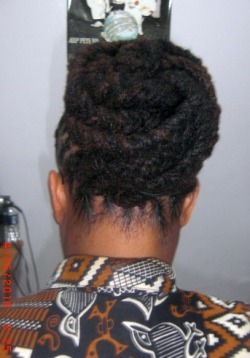 Updo Dreadlocks for a special occasion.